This article is part of a series of posts on The New York Times covered the rise of fascism. In this piece, New York Times correspondent Harold Callender asserts that Britain, France, and the United States are the last bastions of democracy and writes about the economic crises each country faces. HAS DEMOCRACY MET THE TEST? All three of the great nations which still adhere to representative government have lately undergone severe crises: first Great Britain, then the United States, and now France. Though differing somewhat in origin and character, these social shocks have all subjected long-established systems of government to new strains and sharp criticism. Like tidal waves set up by a sub-oceanic earthquake, the repercussions of the world-wide upheaval—now economic, now financial, now political—have struck one nation after another, and each of the nations has responded after its own fashion and in accordance with its peculiar habits and traditions. The resourceful British political system produced a new government within a few hours and a new Parliament within a few weeks. The more rigid American system, under which governments and Legislatures are created only at fixed intervals, reacted less promptly but in the end more vigorously. The French Republic, only too prolific of ephemeral Cabinets but chary of parliamentary or constitutional changes, was even more difficult to set in motion. While government in Great Britain is on the whole far more supple than in America, economic activities and methods change more slowly. In France both the political practice and the dominant social philosophy derive from individualistic nineteenth-century traditions which are deeply rooted and difficult to modify. Hence it is that the official leaders of the two great European democracies have striven to meet the economic crisis mostly by cautiously orthodox devices, while in America—where an old and hitherto unyielding political system has lately been animated by new doctrines and bold leadership—the government has undertaken social experiments which have aroused in Europe both enthusiastic admiration and grave misgivings. Yet in all three countries, widely as their interests and policies may differ, the social and political crisis has set before parliamentary government much the same challenging question: Whether a national authority dependent upon popular suffrage and restricted by a liberal Constitution can adequately plan and organize a community's economic life—whether it is possible under free institutions to develop a type of State which seems to be required to meet the demands of a newly or vastly changed world economy? Not long ago an elderly resident of Metz, looking out at the new French fortifications which seemed to him to mark a sharp boundary between two irreconcilable types of civilization, remarked: "There are only three great free nations left—France, Britain and America." 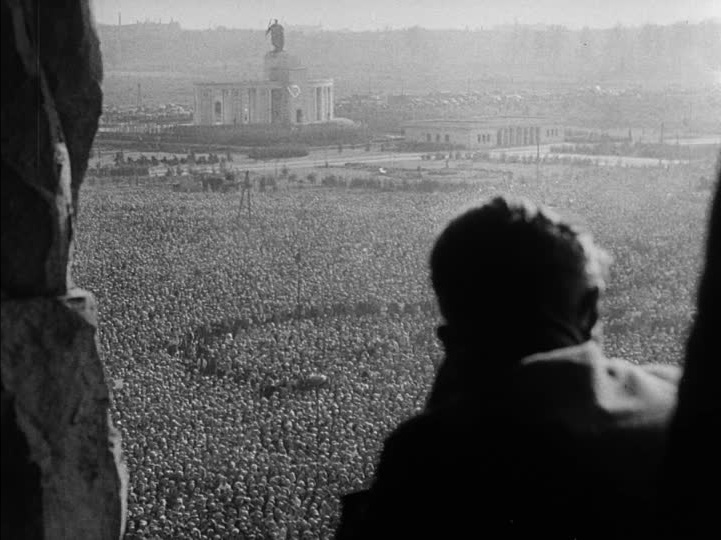 In the concrete emplacement scattered along the hills before Metz he saw a symbol of the struggle between fascism and democracy, which, whether or not that struggle eventually involves forts and guns, seems to be the outstanding social conflict of the time. For fascism, contemptuously rejecting the liberal capitalism of the nineteenth century and the culture which accompanied it, though glorifying and intensifying nineteenth-century nationalism, promises to solve the economic enigma—indeed, all our social problems—in return for the sacrifice of political freedom. The democratic alternatives to pre-war capitalism are not yet sufficiently clear, or the success of parliamentary government sufficiently brilliant, to prevent fascism from exerting a potent influence upon the restless masses and the impatient youth of many countries. In France it has often been said in recent weeks that the political disturbances in Paris, and to a lesser extent in the provinces, were a part of a "Fascist offensive against democratic civilization." In Britain the leading members of the government—Ramsay MacDonald, Stanley Baldwin and Sir John Simon—lately joined in a warning of the danger of dictatorship, while numerous distinguished Englishmen have extolled the Briton's heritage of freedom (which until recently seemed to require no special emphasis) and contrasted it with the Continental dictatorships which Sir Norman Angell described as being based upon the "psychology of the lynching party." There seems little imminent danger of fascism either in France or in Britain, but economic suffering has led to something like despondency in some places, and widespread discontent with democracy as practiced has perhaps reduced the normal resistance even in these experienced parliamentary nations to the lure of "authoritarian" doctrines. If democratic civilization is endangered either by attacks from without or by incompetence or rigidity within, it is, above all, to Britain, the United States and France that one must look for its rescue. Norway, Sweden, Denmark, Holland, Belgium and Switzerland are highly developed democracies (and it is perhaps in small countries that democracy works best), while Spain may eventually become one. The British dominions (the largest has a population of about 11,000,000) are among the most democratic of countries. But it is not by these small countries, admirable as their political systems may be, that the revival or decline of democracy will be decided; it is by the great world powers—there are only three of them—which have developed and maintained democratic, or at least representative, forms of government. In all of these great nations, the principal custodians of democracy, the traditional political methods have been subjected in the last few years to perhaps their most severe test. While organizing for war may be difficult for free governments, the tasks it imposes are not entirely novel. But the conduct of a war seems a simple affair compared with the problem faced by political systems which were built up in an era of free and unregulated economic activity and are now called upon to adapt themselves to a time when industry, finance and international trade seem destined to become the chief business of the State. So different are the special difficulties of Britain, France and America, so divergent and often antagonistic are their interests, that their common task of making parliamentary government work in a changed world is usually overlooked. To an Englishman the record of recent French Parliaments seems to offer little justification for pride in democracy, while the Rooseveltian regime scarcely appears to be one of parliamentary government. Distinguished Englishmen, like Mr. Baldwin, have spoken as though democracy were suspended in the United States. Frenchmen disgusted with their Chamber of Deputies have referred to President Roosevelt (whom they sometimes compared to Mussolini and Hitler) as an admirable example of dictatorship. This, incidentally, seems to be the prevailing view of him in Germany. Many Europeans, in both Fascist and democratic countries, speak as though they thought Congress had been abolished or bullied into silence, free speech suppressed and the opposition intimidated by armed force and wholesale imprisonment. They do not regard the Roosevelt administration, as probably most Americans do, as a striking example of the ability of democracy to combine concentration of power—for specific tasks and for limited periods—with parliamentary control. They forgot that it is by virtue not of intimidation but of public confidence that Mr. Roosevelt exerts his power. This misconception, which is surprisingly general in Europe, and even in England, is perhaps attributable to the persistent habit of considering Europe, including Britain, as possessing a common heritage of civilization and culture and fundamentally different from and immeasurably superior to that of America. Many European writers, particularly since the war, have discussed the peril for Europe of "Americanization," which meant the invasion of an alien and mechanized culture. They seemed to perceive some profound spiritual affinity between, say Copenhagen and Belgrade, or between Oxford and Warsaw, which could not conceivably exist between New England and old England. The reason for this impassable gulf between European and American civilization was, they explained, that Henry Ford could produce several thousand motorcars, all alike, in a day and American life had become standardized. This thesis has not received so much attention since a large part of Europe has been subjected to the most extreme form of a social, cultural and political standardization imaginable. If the Nazis, who frankly aspire to make all the Germans think, feel and act with mechanical uniformity, are representative of the priceless heritage of European culture, there are many intelligent Europeans who would welcome "Americanization." In two of the major Continental nations of diversity and originality, which heretofore have been considered the essence of European culture, have been forcibly suppressed in the interest of the State, and the uniformity once condemned as a characteristic American vibe has been imposed by dictators professing exalted national missions. Meanwhile the shocking prolificity of American mass production has substantially diminished and the machine-made civilization across the Atlantic seems neither so opulent nor so menacing as it seemed a few years ago. 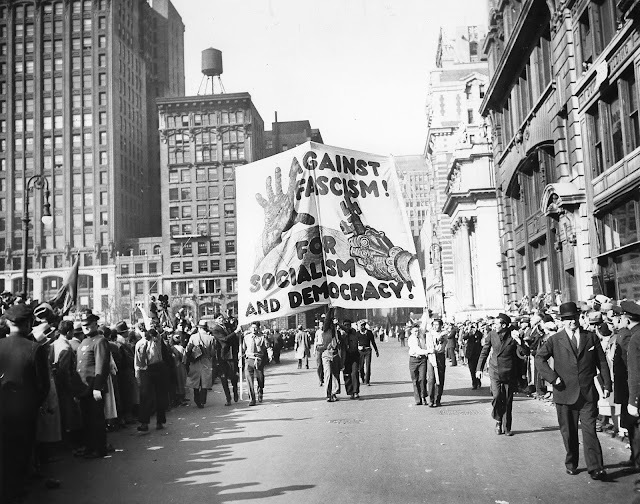 Europe is sharply divided between fascism and democracy, with their antithetical conceptions of the individual, of justice and of culture; and though fascism avowedly embodies precisely the social and cultural qualities which seemed to some Europeans to be distinctive of America, it is with democratic Europe that America—culturally and even politically—has most in common. Government by castor oil, concentration camps and a State-controlled press are as foreign to American as to French and British traditions. Some democratic institutions in America are, indeed, rather older than those of these great European countries; for the present French Republic is fifty-nine years old, and Britain has had manhood suffrage for half a century, while in America the Republic is 145 years old and manhood suffrage a century old. Now France, Britain and the United States are all struggling, in different ways, to adapt somewhat old-fashioned parliamentary institutions to modern needs. The necessity for doing so became evident, not from anything Hitler or Mussolini did or said, but from the stress of economic crises in Britain and America and a curious political crisis in France of which economic causes were probably not the only ones, or perhaps even the major ones. Britain's troubles, in the acute form resulting from the world slump, reached a climax in Autumn of 1931, when foreign distrust caused a drain upon the gold supply of the nation and led to her sudden abandonment of the gold standard and her almost as rapid erection of a protective tariff. The state of confusion into which the country was thrown for a few weeks is well illustrated by the circumstance that the emergency coalition government was formed to "save the pound" and now points with pride to the good results of going off gold. The Labor government, which had let the budget get into a precarious state, was brought to an end by Mr. MacDonald, its Prime Minister, and a conference of party leaders—an intrigue, the Labor men would say—quickly formed a so-called "national" government. Since it was deemed advisable to get a new mandate from the voters, a national election was held. Every effort was made to arouse the apprehension of the people and to persuade them that only this combination of Ministers could save the country from bankruptcy. The public was persuaded and elected an overwhelmingly Conservative Parliament, which has supported ever since government which grew less and less "national" (since leading Liberals dropped out) and more and more Conservative. The 1931 election was not a perfect example of democratic deliberation, but circumstances were exceptional. The new government did at least balance the budget and by virtue of a devalued currency and a tariff which helped home producers, prepared the country for a moderate improvement in trade which cheap money greatly aided. But it did not strive to cure unemployment by public works or shorter hours, as in America. Still Britain has weathered the storm, though many unemployed are not overfed and the Ottawa agreements have not greatly improved inter-imperial trade. The British political system has been placed in no real danger by the economic crisis, but the British economic system, which must resign itself to shrunken foreign markets, is undergoing vast changes. The United States could not, like Great Britain, change its government or its Congress in order to deal with a crisis, though it happened that a national election came just when the crisis, steadily developing through 1931 and 1932, was at its worst. But what it could do was to grant to its new President extraordinary powers to meet the emergency, and the lack of suppleness of the Constitution (which necessitated a delay of four months before the newly chosen President could take office) was to some extent compensated by the speed and courage with which he acted when he did assume control. Both Britain and America waited for events to drive them into action, the British changing governments much more quickly, the American President acting far more boldly and experimentally when, after the constitutionally imposed period of inaction, he had his opportunity. The policies he adopted shocked the staid and conservative British Government and bitterly offended the French, who had had their monetary second start seven years earlier. But they demonstrated that American democracy, if forced to do so, could achieve a concentration of authority and could resolutely attack the complex economic problems of the day. France's crisis resembled Britain's superficially in that a Left government in France, like a Labor government in Britain, got into a financial mess and had to give way to a coalition or "national" cabinet whose first duty was to balance the budget. But otherwise France's crisis was very different from either America's or Britain's. France, of course, had economic troubles like the rest of the world, but they were much less severe than those in Britain and America. Her unemployment was small, as unemployment is measured nowadays. There was no serious attack on her currency, which had already been revalued. Her government would hardly have dared abandon gold. Her banks were mostly sound—save a municipal institution in Bayonne, where Stavisky's reckless defiance of the law caused a scandal which helped to bring the downfall of a government. The French crisis was economic in the sense that investors were frightened and taxpayers incensed, but it came when it did because variegated groups which disliked the Radical government or the republic itself astutely chose the Stavisky scandal as an occasion to march against the Chamber of Deputies. The deeper causes lay in the slipshod government of recent years, the favoritism and financial looseness of the Chamber, the powerlessness of Cabinets and—perhaps one of the principal sources of discontent—the feeling that Germany was becoming more powerful and having her way about armaments while the French government was pushed from one concession to another. Many felt, too, that the republic, based upon extreme individualism, needed rebuilding to insure greater Cabinet authority and greater administrative efficiency. The French crisis revealed the weakness of French democracy and set a test for its recuperative powers. Whether it is primarily a question of financial and industrial reconstruction, as in Britain and America, or of administrative reform and national defense, as in France, parliamentary government in all three of the great democracies faces the gigantic task of adapting old and in some ways antiquated political methods of rapidly changing economic circumstances. It must insure quicker action, more skillful administration, broader schemes of economic direction. When one reviews the performances of democracy in Britain, France and America—cumbersome as they have been at times—and observes the record of dictatorial regimes in other countries, it seems clear that it would be at least slightly premature to conclude that fascism, with all its advantage it may derive from colored shirts and censorship and arbitrary banishment, has yet proved itself a superior form of government. It has been a full week now without any major violence in crisis-ridden Berlin, but the so-called peace in the battle between the East and West here is the kind of peace that exists between rounds of a prize fight. Typical of the inter-zonal tension was an incident yesterday on the Russian-American sector border. Private David Ruffner of Cleveland was on a normal military police patrol when he went to investigate a group of Russian soldiers tinkering with a broken down Soviet automobile. Ruffner was carrying a Tommy-gun un-slung in his hands. As he approached the group, a Russian soldier pushed a Soviet gun in Ruffner's stomach. The American retaliated and did the same. The two soldiers stood there with guns leveled until a Russian officer interceded and ordered the Soviet soldier away. There the incident ended. However, there were more rumors last night that Soviet patrols were crossing into the American zone. There was nothing to these reports, either. There is no doubt that this is the most nervous city in the world. Western zone papers are still printing reports that the Communists plan a putsch to take over the entire city. This unconfirmed story says that the move has been temporarily postponed on orders from Soviet officials who say the time is not ripe for such a daring move. It is said the Russian leaders want to wait until Western Berlin is colder and hungrier than it now is. Even the Germans are shocked at the news from Munich that the notorious Ilse Koch has had her life sentence reduced to four years. The red-haired Frau Koch was the "Mistress of Buchenwald" who ordered subordinates to make her gloves and lampshades from human skin. The life sentence was officially commuted last June on recommendation of the American Army's Judge Advocate office. Since the sentence is retroactive, the woman is expected to be released sometime in October 1949. Another German received a sentence the other day. He is a former Luftwaffe pilot who was caring for an American plane. The German flier couldn't resist the temptation. He climbed in and took an unauthorized ride. He was sentenced to one month in jail. A network is known by the commentators it keeps. To anyone who ranges repeatedly through the spectrum of radio news, the color of each broadcasting system emerges clearly. The key of CBS is reason and reliability, with not one sour note of hysteria, innuendo, or rabble rousing in its stable of commentators. ABC is a crazy quilt, surrounding the stark clarity of Martin Agronsky and Elmer Davis with the purple patches of George Sokolsky, Walter Winchell, Edwin C. Hill, Paul Harvey, and Henry J. Taylor. Though H. R. Baukhage, mellow and wise, continues to talk sense daily from Washington over Mutual, that network's heart is Fulton Lewis, Jr., with Gabriel Heatter as its main artery. NBC is a tapestry of neutral tones bordered conspicuously on the one edge by H. V. Kaltenborn and on the other by Clifton Utley. Despite the unquestioned ability of most of its twenty-odd newscasters, NBC news is strangely lacking in punch, high or low. This is the broad pattern, studded conspicuously—but not liberally—with the exceptions mentioned and with others unmentioned who manage to preserve their integrity as newscasters on networks which hold that quality in light esteem. There are, after all, some honest reporters on the Chicago Tribune and some tortured writers on the New York Daily News. And if one were to compare radio news coverage with press news coverage, radio could boast of the more equable balance. It is no longer possible in two-thirds of the nation to read both sides of the question; but it is still possible throughout the nation to hear both sides. From Chicago you can listen to Corning J. Hurley, Paul Harvey, and Henry J. Taylor; but you can also hear Clifton Utley speaking brilliantly and fearlessly on NBC. In Baltimore you can hear Gerald Johnson on WAAM: a man of rare insight and equal bravery, who has only recently been heard on a nationwide basis on TV Sunday nights. There are doubtless others, in other places, telling the people of their region the truth as they find it, daily and nightly. To one broadcasting system in particular, however, must go the greater credit in maintaining the inestimable privilege of hearing the whole truth. It is doubtful whether any news organization anywhere (the press included) has a better staff of reporters than CBS. 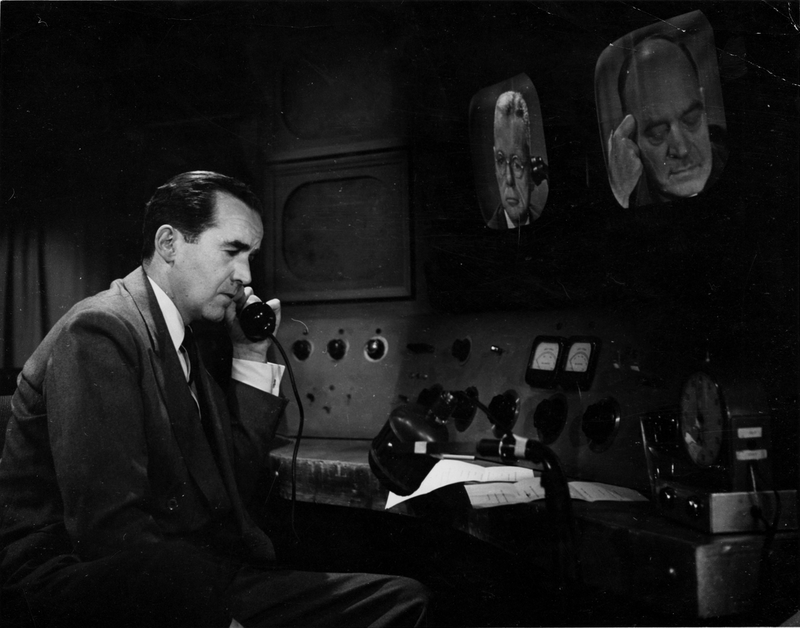 In New York, Edward R. Murrow, Charles Collingwood, Winston Burdett, and Edward P. Morgan cover and interpret the news with high literacy and insight; Robert Trout, Don Hollenbeck, Larry LeSueur, Allan Jackson, and Douglas Edwards are unfailingly restrained and reliable; and Lowell Thomas, beloved of his audience, is CBS's only excursion into heartiness, "color," and cliche. In Washington, Eric Sevareid is CBS's most distinguished ornament, a commentator of rare wisdom, courage, and compassion, who writes better than he speaks; and he is ably supported by Bill Costello, Bill Downs, Griffing Bancroft, and four other mature, shrewd men. The European staff has Howard K. Smith in London, David Schoenbrun in Paris, Richard C. Hottelet in Bonn, Ned Calmer in Rome, and Alexander Kendrick in Vienna. All these—together with Herman, Pierpont, and Cioffi in the East—make the 8 A.M. EDT news roundup by far the most complete world report on any network, and who, in a sense, constitute a vital branch of the Foreign Service of the United States. As in any organization, the quality of its personnel is a reflection of its head, and to William S. Paley must go much of the credit for assembling a staff of such brilliance. There is another reason too: When CBS hires a man, it is because it trusts him. Once hired, he has virtually complete freedom in his field. No directives are laid down, no guidance exerted. A CBS newscaster is expected to abide by his own conscience and code. If he should violate this conscience, which is strict adherence to fact and to the truth as he is able to see it; if he should use the air as an extension of his own personal prejudices or ambition, or as a spokesman for partisan interests, he would be cut off in five minutes. The same can scarcely be said of either ABC or Mutual. ABC, in fact, virtually prides itself on having no news policy. It explains the presence of two such opposing moral attitudes as that of Elmer Davis and Walter Winchell by saying that it offers the public all sides of the question in the true spirit of democracy. You have only to listen to most of these commentators for one minute to know which "side" they are on. The voices of Sokolsky, Heatter, Hill tremble, intone, quiver; they are thick with the rhetoric of persuasion. Winchell soars into hysteria. They are a far, shrill cry from the calm twang of Davis, the incisive balance of Agronsky, the restraint and perspective of Erwin Canham—men who address the mind. The others aim at viscera. And the viscera pay off. The absurd, portentous Heatter reaches seven to ten million people weekly. Winchell, in his once-weekly tirade, reaches at least five million. Another of these visceral commentators, Fulton Lewis, Jr., is distinguished by the fact that he is the only rouser to eschew the familiar techniques, and because of this he is probably the most influential of his kind. He has a calm, easy, pleasant voice that seems at first or even second hearing to be the voice of reason. If you do not know him, you have to stay with him a few minutes before you see what he's up to. It is significant that whereas it would be difficult if not impossible to describe the "line" of commentators like Murrow or Sevareid or Utley, men like Lewis and Sokolsky adhere to a set line of thinking and feeling which can be tabulated with ease. To Inform or to Inflame? Pared to the bone, this line is a deliberate destruction of faith in the Administration, in government, in our Allies and the United Nations. At best it is disagreement with the aims of President Eisenhower and the free world; at worst, it is a form of disloyalty practiced openly and with impunity by the very men most active in crying "Treason!" A random day's catch, for instance, can include Sokolsky telling his listeners that "World War II was all evil"—it accomplished nothing—it was an utter waste of blood and resources—what we have now in Russia is worse by far than the Nazi or Fascist threat. Sokolsky has never taken the trouble to speculate as to where we would be now if Germany had conquered all Europe. Lewis on the same day (as on every day) finds the Korean War a total criminal waste—"Truman's war." Like his colleagues in thought, he tells his audience over and over that the blood of its sons was spilled for nothing. Lewis does not speculate on where we would be had the Communists overrun Korea and thus posed a major threat to Japan. Britain is constantly double-crossing us, letting us down. He takes great pains to find any item, however unsubstantiated, to "document" this. He does not speculate on where we would be without Britain as an ally. He gives the same treatment to the United Nations (a farce), foreign aid (a colossal giveaway), the State Department (still tainted by Communists and intellectuals). Among commentators like Lewis, the only areas of approval are the American Legion, the Chinese Nationalists, investigating committees, and motherhood. Winchell differs only in the inclusion of more personal gossip and of little jokes, such as referring to James Wechsler as the editor of the "New York Compost—look it up." A combination Messiah, Revere, and Cassandra, he knows all and is impelled by duty to pass it on to Mr. and Mrs. America. Like Senator McCarthy's, his detractors are Commies and fellow travelers, and all criticism and disagreement is an organized smear by subversives. It is hard to imagine what reactions these visceral commentators can arouse in their audience but distrust, anger, and cynicism. They do not inform; they inflame. This does not mean that the "reasonable" commentators are Pollyannas or that they approve unreservedly of the Administration, our Allies, or our foreign policy. But if any criticism is implied, it emanates from established facts and careful consideration; basically they feel a responsibility toward their audience which would forbid snap conclusions, distortion, or—the favorite device of the rousers—the lifting of words out of context and the deliberate suppression of facts that would weaken their arguments. They present the case as it stands and leave the conclusion to their listeners. They have the integrity, moreover, not to be intimidated by the phobias of the moment, not to cater to the "popular" emotions. So long as men like these are on the air, reason—which has no Hooper rating—has a chance of prevailing. The Western Powers today are getting around to putting down on paper just how and how much the defeated German nation will pay for its aggression under Hitler. The three-power meeting in London beginning today should come out with an occupation statute defining the powers of the military governments and their relationship with the proposed Western German state. Later today there will be an announcement of the Military Security Council, that three-power group assigned to police the Ruhr to make sure that the international control of that vital industrial area does not allow development of war industry. 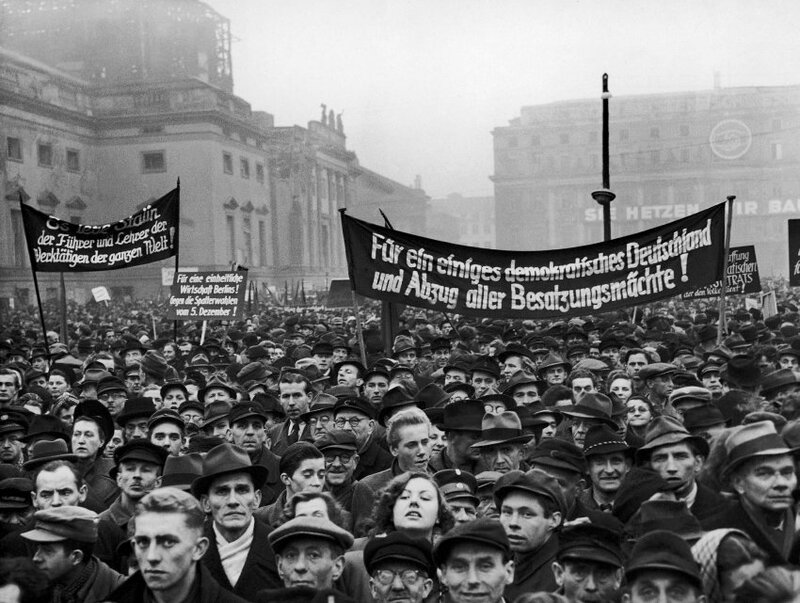 The establishment of the International Ruhr Authority and the impending occupation statute are meeting strong opposition from German political leaders both of the West and from the Communists in the East. 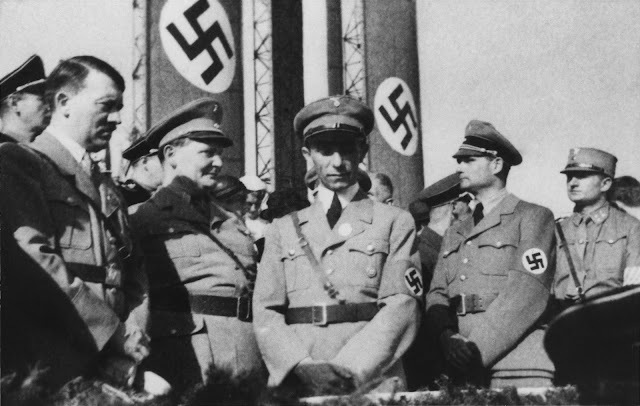 The German people have long known that they were going to have to pay for the war, and since the victory, plants have been dismantled and other reparations assessed. However, using their position as pawns in the struggle between the East and the West, it is no secret that German politicians hope to alleviate the war payment burden by playing the international issues. Consequently, there will be another large howl when the details of the Military Security board and the occupation statute are revealed. "Cursed be all those who agree with the Ruhr statute," it says. "Cursed be to all those who agree with the occupation statute which enslaves Western Germany." 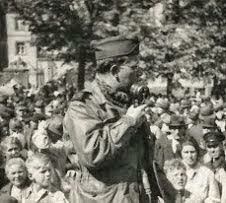 The military struggle with Germany ended in 1945. Now begins the political struggle. Sixteen thousand American occupation troops began winter maneuvers this morning. The first phase will be the defense of the west bank of the Rhine. The second will involve taking bridgeheads on the east bank of the river. Military authorities emphasize that these maneuvers are routine and in no sense connected with the present tension in Europe. However, it must be pointed out that the Rhine is a natural defense line in the event of an attack from the East. In this clip from ABC World News Tonight with Frank Reynolds, Bill Downs reports on the controversy surrounding the United States Military Code of Conduct and the restrictions it placed on American prisoners of war in Vietnam as well as those taken by North Korea during the USS Pueblo crisis. FRANK REYNOLDS: The testimony of the Pueblo crew raises serious questions about the workability of the United States Military Code of Conduct for prisoners of war. The code is not military law, it is a guide to servicemen on how to continue to protect their country even though they are in enemy hands. But the code is based on US military customs and traditions that may not apply to modern psychological warfare. ABC Pentagon correspondent Bill Downs examines this question in the conclusion of his three-part study on the Code of Conduct. BILL DOWNS: Here in Washington, the Pueblo hearings have produced a flood of mail to the Congress from a public that believes that Lieutenant Bucher and his men are being pilloried by the Navy for not living up to the Military Code of Conduct. The Pueblo's crew is not on trial in California, but the Code of Conduct certainly is. The military insists that men cannot be sent into combat with advance permission to surrender or, if captured, to betray their country. But New York's Congressman Jonathan Bingham, some military men, and a growing number of civilians say the code is as outdated as the ancient Spartan code it's based on. Bingham has demanded that President Nixon liberalize the code by executive order and, failing that, then the Congress should do it. I asked Bingham how he would change the code. JONATHAN BINGHAM: What I'm saying is that when it's a question of signing a propaganda statement, which is clearly a propaganda statement and not a matter of factual information—that in that case they should be allowed to do so, and that by saying in advance—by making it clear that this is our policy that they're permitted to do that—you ruin the usefulness to the other side of such propaganda statements. DOWNS: General Maxwell Taylor was top United Nations Commander in Korea during the release of American prisoners in the '50s. The former Chairman of the Joint Chiefs has strong feelings about the code. MAXWELL TAYLOR: I think anyone who reads the Code of Conduct—I have it here in front of me—will recognize to a certain extent a sort of "ten commandments." And a man, being as fragile as he is, I'm quite sure the authors of this code never expected that every man that captured would behave this way. But it certainly sets a standard which the man should try to observe. And I was impressed in the Korean War that even without this the vast majority of our troops behaved just exactly the way this code is written. And it was the weak ones who failed. Perhaps the code can strengthen those who are weaker than most of their comrades. BINGHAM: I think the fact of the matter is that, when the pressure becomes sufficient, when the torture is sufficient, there are very few human beings who can resist it over a period of time. DOWNS: I asked the General if it wasn't foolish today to try and impose an ancient "return with victory or on your shield" combat standard. Wasn't such a code outdated? TAYLOR: I hope it's not outdated. As a military man I feel that our armed forces always must come back with victory or on their shield. That's why they're here to defend our way of life; our democracy. I hope it would add to the stamina and determination of our armed forces, but I'm sure that one piece of paper is not the real answer as to carry to the men themselves and their basic training. DOWNS: While this debate goes on, there are an estimated nine hundred other US fighting men now being held in North Vietnamese POW camps. While the negotiators talk in Paris, other GIs risk possible capture every day. Hanoi propaganda radio has broadcast a parade of alleged confessions from the US captives. Former Ambassador Averell Harriman spent more than three years trying to get those prisoners released. Harriman has little faith in the Military Code. AVERELL HARRIMAN: Well, I think the code is a contradiction. I think it's outmoded. It doesn't deal with the such logical problems that in this war the prisoners have to face. DOWNS: Former Chief of Naval Operations Arleigh Burke, deeply disturbed by the Pueblo incident, had this surprise proposal. ARLEIGH BURKE: You can put enough pressure on any man to break him, one way or another. And you can eventually get the truth from a man if you're willing to torture him enough, and torturing him in the way which will be effective for him. So, for that reason, there is some merit in the government issuing an order to all military people that there is no such thing as a Code of Conduct; that, when a man is captured, he can say anything he wants to say—hopefully that he will not jeopardize his unit, his nation, to protect himself. But there's nothing in between. There's nothing in between that and a rigid Code of Conduct. DOWNS: The Vietnam conflict and the Pueblo incident are the first test of the Military Code of Conduct since the Korean War which produced that code. The military insists it can't send men into combat with prior permission to surrender. The critics of the code say it virtually demands that a man commit suicide for his country, that this is immoral. It's clear that many Americans sympathize with the men of the Pueblo and those captives still in enemy hands. The unpopularity of the Vietnam War may relate to the public reaction against the Military Code—that, in such a war, it's even more unfair to expect soldiers to adhere to it if captured. In this sense, it seems that public pressure may already have begun changing the Military Code of Conduct. Bill Downs, ABC News Washington. This article is part of a series of posts on how newspapers covered the rise of fascism. The regimes in Fascist Italy and Nazi Germany targeted the free press soon after taking power, shuttering papers and broadcasters who did not follow the party line and accusing them of peddling lies. BERLIN, Oct. 5 — The Hitler government made public today the text of its National Press Law, under the terms of which every working newspaper man in Germany becomes a servant of the State. He will be licensed as such through membership in the National Press Federation and will be held morally and legally responsible to the State for his professional activities. Incidentally the law delegates to Dr. Paul Joseph Goebbels, the Minister of Propaganda and Enlightenment, a dictatorship second only to that wielded by Chancellor Hitler, and if the weapon placed in his hands fails to yield national control of all press activities in the new State, it will be only because of his omission to make full use of the sweeping mandate making him master of the German press in all its branches. The law's provisions were forecast a fortnight ago, but were explained in detail to newspaper men today by Dr. Goebbels. Calling it "the most modern journalistic statute" in the world, he said he expected it to serve as a model for other countries. Journalism as a free profession becomes a thing of the past in the Third Reich and in its place there is created a sort of personal union between the individual newspaper worker and the State, with the profession hedged in by stringent rules and regulations. The Aryan racial provision contained in the civil service code has also been incorporated in the new press law, and unless it is later modified even Aryan newspaper men with Jewish wives will be barred from the profession. The law also puts an end to anonymity and sheers the publisher of his right to determine the contents and policy of his newspaper. It abolishes the position of the "responsible editor," who, under the old press laws, was held responsible for the contents of each issue. He usually was a nondescript individual who was prepared to go to jail for errors made by regular staff men. Dr. Goebbels summed up his explanations by observing that since the press had a distinctive educational function to perform, it behooved the State to stand watch over it just as it did over the national educational programs. The new law applies to all persons who "take a share in forming the mental contents of any newspaper or political periodical through the written word, reports or pictures." It thus embraces publishers, editors, writers, artists and camera men. Government publications are specifically exempt from the law, and by implication scientific, technical and trade periodicals are exempt provided they qualify as non-political. Discretionary power is vested in the Propaganda Minister to determine what makes a periodical political. The professional work of newspaper men under the law has the character of a "public task" regulated by the State with respect to duties and rights. To be admitted to the profession of journalism, the candidate must fulfill the Aryan clause of the Civil Service Act. That is, he must have no Jewish element in his ancestry as far back as his grandparents. The same applies to the wives of those who are married. The candidate must also be a German citizen in full possession of civil rights, must be 21 years old, legally responsible and professionally trained. Finally, he must have the "consecration requisite for the task of influencing the public." In the discretion of the Propaganda Minister, the Aryan clause may be waived or modified "in exceptional cases." So also may the requirement of German citizenship in favor of non-citizens "of German stock." "It is the duty of journalists to treat their subject matter truthfully and to judge according to their best knowledge. "1. Anything that intermingles private good and public good in a manner misleading to public opinion. "2. Matter calculated to weaken the power of the Reich at home or abroad, the community will of the German people, its military spirit or its culture and economy, or that tends to offend religious sentiments. "3. Anything in conflict with the honor and dignity of Germans. "4. Matter that unlawfully injures the honor or welfare of any individual, hurts his reputation or draws him into ridicule or contempt. "5. Anything that is unethical on any other grounds. "Journalists must be conscientious in the performance of their professional duties, and, outside these, they must show themselves, by their conduct, worthy of the respect their profession calls for." Responsibility for publication is apportioned among the writer of an article, the editor who passes on it and the editor-in-chief. The new law also requires the publication in every copy of the newspaper of the names of the managing editor, assistant managing editors and all department heads. All licensed journalists are gathered together in the National Press Federation, which has the status of a public corporation. Its president is appointed by the Propaganda Ministers. Dr. Goebbels has already named Dr. Otto Dietrich to this post. The federation's by-laws shall be drawn up by its president, with the advice and consent of Dr. Goebbels. Under this national federation are State federations. Membership is compulsory. The federation is empowered, subject to the Propaganda Minister's approval, to make provision for training newspaper men and to set up welfare institutions for their benefit. It can levy assessments, "which shall be collected like taxes." It shall further act as a board of arbitration in disputes between its members. For adjudication of violations of the press law, a system of professional courts is created—a Reich Press Court in Berlin and lower district courts in several States. These courts also have the ultimate decision in cases of disputes as to admissibility to or expulsion from membership in the journalistic profession. Appointment of all the judges of these courts is vested in the Propaganda Minister. In each court, the presiding judge must have the qualifications required in regular law courts. His associates on the bench shall be publishers and newspaper men. The rules of procedure shall be laid down by Dr. Goebbels, in agreement with the Minister of Justice. Direct protection is offered to newspaper men by the provision that practically deprives the publisher of the power of discharge for reasons of his own, and virtually vests dismissals as well as hiring in the hands of the State. Severe penalties are threatened for violation of the law. Any one engaging in newspaper activities without being licensed is subject to imprisonment for a year. Inducing any newspaper man by bribery or threat to commit any violation of the law is punishable by imprisonment and a fine. Licensed publishers also face imprisonment and a fine for infractions of the law, such as employing or accepting contributions from unlicensed persons. The foreign correspondents of Germans newspapers also come under the new law. BERLIN, Oct. 5 — The Reich today threw out the window the principle of the freedom of the press as understood in America, set up the death penalty for the circulation of treasonable articles and placed German newspaper workers under the thumb of the authorities. 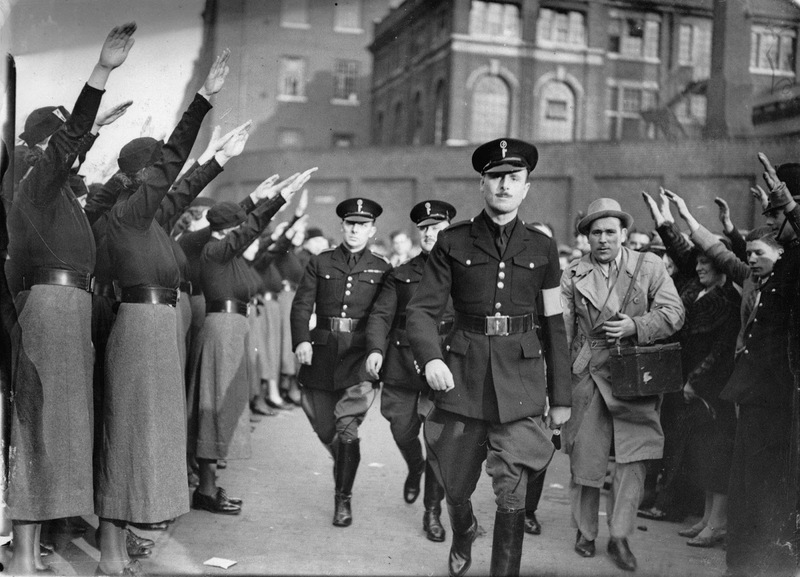 A series of drastic laws passed by the Cabinet and signed by Chancellor Hitler made the publishing of treasonable articles or the introduction of them into Germany from abroad punishable by death and made journalism a licensed profession in which aryanism and Nazi patriotism were set up as necessary qualifications. Penitentiary sentences ranging up to five years were provided for those distributing "atrocity" or anti-Nazi material. ROME, Dec. 6 — The Mussolini newspaper in Milan, Il Popolo d'Italia, which since Benito Mussolini became Premier has been edited by his brother Arnaldo, publishes an article which is obviously inspired and which gives a grave warning to the Italian press in general and the Roman press in particular that unless newspapers cease publishing false and misleading news the Government is going to muzzle them. The appearance of this article in what may be termed the present Cabinet's official mouthpiece has caused great anxiety by the Italian press. "The problem of the press—especially the Roman press—is beginning to preoccupy the Government. The irresponsible lightness and crookedness with which both external and internal politics are treated is appalling. Today's newspapers, for instance, are full of pure inventions. They speak of things which have not occurred and never will occur. "The newspaper Il Mondo assures its readers, without knowing anything about it, that Mussolini at the London meeting will support Poincarré, which may be correct, but may also be false. "The newspaper Epoca has large headlines spreading over several columns to report in about ten lines an insignificant incident of violence near Naples in which some Fascisti were involved. "We cannot go on in this way. We are assured that the Government has decided to impose discipline even on the newspapers. Considering the thoughtless manner in which the newspapers act, nobody will be surprised if the Government adopts a censorship or even severer measures." It is significant that both newspapers in this article belong to ex-Premier Nitti, whom the Fascisti hate more than any other man in Italy. The offices of these papers were occupied by Fascisti when they entered Rome at the end of October, but were again evacuated early in November. Since that time they have abandoned their extreme anti-Fascisti viewpoint, refraining from attacking the Fascisti openly. The big news for Americans in Germany today does not directly involve the Germans. It concerns the people who work under our High Commission, which will conclude its occupation policy after the Federal Republic is established. High Commissioner John McCloy has confirmed earlier reports that he was going to cut down on staff—and, incidentally, on costs to the American taxpayer—and that his commission staff to watch over forty-five million West Germans will be limited to one thousand persons. This is a substantial reduction in the number of jobs required by the military government, which had the initial task of establishing the occupation of this defeated country. Like the airlift, the military government is being phased out in favor of the civilian commission. McCloy said that staff changes would be completed by November 15. Reports are circulating today that the Communist Party leadership of Western Germany is due for a major shakeup after Sunday's election defeat. It comes under the heading of what the Comrades call "self-criticism," and will parallel the recent purge of the Soviet zone party which had a major house-cleaning to remove unstable elements in that organization. However, according to my sources, the thing that impressed the leadership of Eastern Germany was not the poor showing of the Communists, it was the campaigning of the other major parties when all sections of Western German political thought blasted America, Britain, and France for their occupation policies. The thing that impresses the East is that the Western Powers allowed these attacks to be made on themselves—a situation that could not arise under totalitarianism. Thus, according to their way of thinking, the Western Powers must be extremely strong in Germany to allow such things to go on. Within the next few days we should know the constitution of the new cabinet for the Federal Republic of Germany. Winston Churchill's proposal that the new German government be included in the Council of Europe and McCloy's approval of such a move has made a deep impression on Western politicians. It has revived speculation that the right-wing Christian Democrats may form a working arrangement with the opposition Socialists to present a united German front aimed at incorporating the German government into the European union. A late-summer hiatus has settled over Germany today; a kind of "vacation from crisis" while the country gathers its harvests. The only political activity is the horse-trading by party leaders in West Germany trying to arrive at a coalition government before the new Federal Republic convenes its first parliament three weeks from now. The East-West modus vivendi in Berlin is working with a minimum of friction. At a meeting of the Big Four commandants the other day, the process of normalizing the split city is making slow progress on minor matters—but it is progress. Even the Eastern propaganda machine sounds a little weary. Berlin's American commandant, General Frank Howley, today comes in for a half-hearted attack after he charged that the Soviet military government is attempting to regain its veto power in Berlin. The Communist press today charges that Howley is piqued because the United States government would not let him make war over Berlin. The press says that things will be more peaceful when Howley leaves, which he is scheduled to do early next month. But the Communist attack lacks its usual conviction. 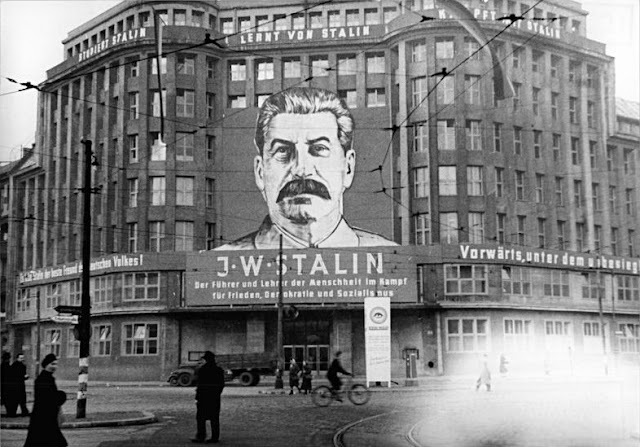 Here in Berlin, the city fathers in the Western sectors of the town are plugging to have some agencies of the new West German state establish headquarters in this city. In fact, they hope that Western Berlin eventually will be incorporated into the new government as the twelfth state. Although it hardly seems likely right now, the inclusion of Berlin in the government would completely change the parliamentary picture in Bonn if Berlin went Socialist as it did in the last election. Berlin would send a dozen delegates to the parliament, most of which would be Socialist, thus giving that party the plurality. But the German people are leaving this behind-the-scenes juggling to the politicians. Most of them are gathering the ripening fruits of their gardens—a good grain crop is being harvested. And already today there is a biting tang of fall in the air. Here in Berlin we needed two blankets for comfort last night, and the G.I. athletes here already are putting their baseball equipment away and blowing up footballs. Political observers predict that with the football season will come another period of East-West crisis, but right now the comparative peace is wonderful. Liberal hopes that the new West German government would be a united front coalition of the right-wing Christian Democrats and the left-wing Socialists appear to have vanished today. Dr. Konrad Adenauer, the probable new chancellor of the Federal Republic, this afternoon is holding a series of conferences with the conservative leaders of his party to map final plans for his cabinet and the coalition of right-wing parties which will control the parliament. Since last Sunday's election in which the Christian Democrats gained a plurality, some German political leaders have been trying to bring about a compromise government based on a desire to make the new parliament as strong as possible by combining the 139 delegates of the CDU with the 131 Socialists for solid control of the government. But these efforts have failed. Adenauer will have to move to the right for his coalition. The Socialists will be a powerful opposition which may be able to cause early embarrassment to the Christian Democrats. The two major parties failed to reach a compromise on economic policy. The Socialists insist on pursuing their nationalization program as the price of their entry into the government. The Adenauer party refuses to compromise their free enterprise stand. The East German Communists have been comparatively noncommittal about the elections a week ago, partly because their West German comrades did so badly at the polls. However, today we have a statement from Germany's number one Communist, Wilhelm Pieck. The British-licensed newspaper Die Welt published an interview with Pieck in which he said that another government, allegedly for all Germany, will be establish in the Eastern zone, but that for the moment to establish this Communist-dominated government will depend upon further developments in West Germany. In other words, the Communists have not yet made up their mind exactly what to do about the new Federal Republic. I learned that Communist feelers already are going out to political leaders in the West German state not only through their own party organization in the West, but through other emissaries who are contacting the right-wing parties in an attempt to reach some kind of arrangement to project unity and therefore Communist influence on the Western government. This pressure is being brought to bear on the right-wing politicians because the Communists feel they have a better chance of making a deal with them than with the anti-Communist left-wing Socialists. Pieck's statement today admitted difficulty in establishing contacts with the Western government. "I have to blame the Western German governmental institutions," he said, "that no East-West German talks have officially taken place. High Commissioner John McCloy has ordered a full-scale manhunt for two American youths on a bicycle vacation trip through Germany who have been missing for almost two weeks. Army investigators have been ordered to search for Warren Oelsner, 20, of Long Island, New York, and Peter Sellers of Radnor, Pennsylvania. Another Germany-wide search is underway today for the missing Rothschild jewels which disappeared during the Nazi occupation of France. Hermann Göring is alleged to have ordered some fifty cases containing the priceless jewels to be removed from Germany. The treasure includes pearls, emeralds, and diamonds valued at over one million dollars. The New York Times in 1936: Does the World Today Resemble 1914? This article is part of a series of posts on how newspapers covered the rise of Benito Mussolini and Adolf Hitler in Italy and Germany prior to World War II. In 1936, amid growing fears of another large-scale war breaking out in Europe, New York Times journalist P. W. Wilson questioned whether the current political situation resembled the prelude to World War I. In August of 1914 Europe was plunged into the most disastrous of all wars. Today there has arisen another crisis in Europe and war is again a word on men's lips. One crisis recalls the other. The statesmen of 1914 have been summoned to the bar of history and, on the whole, the verdict is against them. If they did not launch the war, they lacked the energy and intelligence to prevent it. It is now the turn of statesmen, here and now, to face similar judgment by public opinion, and in their case, also, there will be a verdict. We may thus compare the two groups of men who are associated respectively with the two world crises. In simple terms, the position in 1914 was a balance of power. That equilibrium had been repeatedly shaken by disturbing events. Finally it was upset. The statesmen, in frantic alarm, tried to recover the balance, but at the eleventh hour they lost control of the position and the crash came. Today Europe has been trying to maintain a collective security. The League of Nations, the Pact of Locarno, and other treaties were intended to draw the Continent out of several camps into one camp. It is this collective security that, like the balance of power in 1914, has been gravely disturbed. In one case as in the other, the status quo was unreliable. The rulers of Europe in 1914 included men of very different personalities; so do the rulers today. Yet each of the two groups is embraced within one comprehensive association of ideas; each is distinguished from the other by an inexorable element—namely, time. It was the pre-war mind that failed in 1914. It is the post-war mind today that faces an ordeal. The rulers of yesterday impressed the world as mature in their statesmanship. The rulers of today seem to be young. On the average they are young in years. They are still younger in experience—these new men facing a new era. Throughout the entire Continent of Europe there is no one in office whose experience entitles him to rank with a veteran Gladstone, Disraeli, Palmerston, Balfour or Talleyrand. Europe lost Hindenburg of Germany, Venizelos of Greece, Piłsudski of Poland, Briand of France, to mention but a few of the departed. An old King of England has been succeeded by a young King, and in Czechoslovakia on old President, Masaryk, has surrendered his mantle to a disciple, Edvard Beneš. Of the official hierarchy that handles the crisis in 1914 two alone survive and both are septuagenarians. The Kaiser is now exiled at Doorn. For fourteen years David Lloyd George has been out of power. The astonishing thing is that rulers of the new Europe—powerful rulers, men who held their positions for years—arise like an illusion of the magician. Their emergence surpasses the fantastic incredibilities of the Arabian Nights. Nothing like it has ever happened before. The Czar Nicholas II was surrounded by a glittering court, a gorgeous church, a powerful bureaucracy and a conscript army. And who was his Foreign Minister? A trained diplomatist of the old school, Sazonoff, who had never been anything else. At ceremonials of all kinds, few faces were more familiar than his. Sazonoff wore his gold lace as camouflage that concealed his intentions. He was very adroit. But over his scruples there were two opinions—his own and that of others who had dealings with him. Who would have conceived it possible that the day would come when all of the "Holy Russias" would be governed by the Socialist son of a shoemaker who had been banished into a remote Siberia, a man whose name had appeared seldom if ever in any ordinary newspaper of the English-speaking world? Who would have supposed that a salesman called "Mr. Harrison," hurrying with a satchel to catch his morning train into London and badly wanted by the Russian police for a revolutionary hold-up of a convoy with money at Tiflis, would sit in the seat of Sazonoff and, changing his various names to Maxim Litvinoff, would represent Russia during a continuous period of seventeen years or thereabout? The new Russia has crashed the gates. Byzantine in his multiplicity of uniforms, the Kaiser was an All-Highest War Lord, an autocrat whose grandiosity was backed by the most formidable military forces ever developed by mankind. The Germany over which he reigned remembered three wars—against Denmark, Austria-Hungary and France. Each of these wars had been a greater triumph than the last. It was victory alone in which the nation could believe—no one living could remember anything else—and the Chancellor, von Bethmann-Hollweg, was among the statesmen who hoped that the Reich, feared and respected, would rest on its laurels. Amid the lurid sunset of the Europe to which he belonged, he is seen—a figure worthy of Aeschylus—protesting in angry horror against Britain's inexplicable decision to fight for a scrap of paper. Who now receives an emperor's salute? Adolf Hitler, who in 1914 was an architect's draftsman of apparently insignificant personality, who enlisted as a soldier in the ranks and obeyed orders like other soldiers, wields an omnipotence to which the most boastful of autocrats in his most exalted moments did not dare to aspire. The men who speak for Germany are the products not of victory but of defeat. Joachim von Ribbentrop—the soft-spoken, violin playing Ambassador at Large—is of military family and fought in the war as lieutenant of hussars; and there are two others. Having a club foot, Paul Joseph Goebbels, the son of a peasant, born in 1897 near Duesseldorf, could not fight. But he could hate. He could make speeches. He could write. And one of his words wounded like a barbed arrow. He described the anti-Fascist press as "journaille." It was a deadly combination of "journal" and "canaille." It was deadly because it was French. By birth and upbringing Hermann von Goering is poles apart from Goebbels. But they are fused into one alloy by the flame of indignation, feeding on impoverishment, which is sweeping over Germany. Prime Minister of Prussia and Hitler's close associate, Goering is a Bavarian aristocrat. Here is no indoor official chained to his desk. Goering is a mountaineer, above all an aviator, the rebellious airman who, at the armistice, withdrew his planes inland rather than surrender them to the Allies. In Goering the Kaiser is reincarnated. Goering is, among the Nazis, the man of many uniforms, against whom the jest is that a thief stole thirty-seven of them, yet he did not notice the loss. What had been victory in Germany was defeat in France, and the German defeat was a French victory. In 1914 all the leading French statesmen—Poincaré as President, Viviani as Prime Minister, Clemenceau as the Tiger of Parliament and the press—had grown up under the shadow of national humiliation. The statue of Strasbourg in Paris, draped perpetually in black, symbolized the mood. It was sullen and unappeased. It is a victorious war that France now remembers. Born in 1889, nineteen years after the Franco-Prussian War began, Foreign Minister Flandin was among the millions who flung themselves against the German invader. Standing 6 feet 6 inches high, he became an air pilot, and aviation is still his enthusiasm. "Here," they say of him, "is no café politician." Here is a man of the open air who shoots grouse in Scotland, a man of open mind who wants France to have whatever of President Roosevelt's New Deal may suit her special needs. In 1914 the leading statesmen of Italy—Salandra, the Prime Minister, and Giolitti, who had held that office—were party men among party men whose lives had been devoted to the play of politics. Today such politicians are in retirement. The son of a blacksmith who had been a soldier in the ranks arose like a Samson and swept all of the parties into the discard. 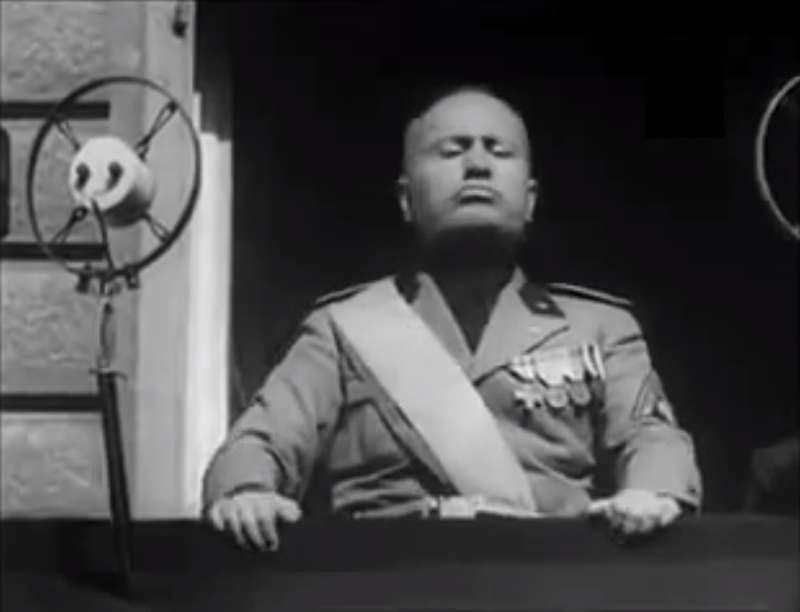 Benito Mussolini installed himself as dictator in their stead. Italy has her Flandin in Dino Grandi, the farmer's son, olive in complexion, blackbearded, sonorous in his voice; like Goering, a man of the mountains. By profession a lawyer, Grandi had to be a soldier and a great soldier he proved to be. "Very well, my children," he said, laughing to his company flinching under fire, "You'll find I am broad enough to shield you all, so we will go forward as ordered." Belgium has passed from pre-war to post-war. When King Albert, the mountain-climber, stumbled and fell to his death, a page was turned. A King with a future succeeded the King whose glory was the past. The Prime Minister of Belgium—still in his early forties—is among the new rulers who think entirely in terms of today. His background is not merely a bombarded Liège. It is Princeton University of which he is an alumnus. What attracts him is the economic gospel of Keynes. Flandin has flirted with a New Deal for France. But in Belgium, van Zeeland has achieved something of the kind. Great Britain is a country where forms are religiously perpetuated. Between her statesmen of 1914 and her statesmen of today there is a similarity on the surface. Baldwin, like Asquith, knows how to "wait and see." Each handling his own crisis—a possibility of war—the two men have played the same game. They have sought peace by postponement. But there is a profound change in the British attitude toward foreign affairs. Asquith, in 1914, knew of war only by anticipation. Baldwin has seen war with his own eyes. And in 1936 the fight for peace in London is much more determined than it was in those days when modern war existed only in the imagination. In 1914 the British Foreign Secretary was Edward Grey; today it is Anthony Eden. Both men have been drawn from the landed aristocracy. Both went to Oxford. Both acquired the charm, the restraint and simplicity of manner which is characteristic of a British diplomat. Both were promoted young—Grey was Secretary of State at 43, Eden at 38. Grey brooded over war and prayed that it might be avoided. But never had he been shaken out of the even tenor of his impregnable composure. To Eden, war is no misgiving merely; it is memory. He fought in the trenches, won the Military Cross and became the youngest captain in the British Army. Between King George twenty-five years ago and King Edward today there is a startling contrast. Before the war monarchy was the accepted system. It is now the most conspicuous of all anomalies. King Edward, as he moves about, is still in the trenches. His throne is Toc H, that veterans' shrine where the lamp of dedication to duty is perpetual; his aim is to stop the horror of war at any cost; he demands no balance of power that may be upset, but a commonwealth of all nations wherein no balance of power is necessary. So do we gather the old Europe and the new rulers into their two groups, so do we compare the groups. Can we differentiate them by standards of background and experience, them by standards of background and experience, of social strata and methods of wielding authority? It is a question on which, in years to come, libraries will be written. These rulers of Europe succeed to an age-long inheritance of responsibility. They perpetuate an authority once reserved to Kings and Emperors and served by statesmen whose names recall great memories—Richelieu, Pitt, Bismarck and the rest. For a thousand years it has been the supreme ambition of Europeans to enter the governing class and enjoy its privileges. Before the war a statesman was advanced to the forefront according to something that could be regarded as a rule. He might be assisted by private means. He might have been valuable to a political party. There were certain recognized avenues that converged on the summit of men's hopes. The prize of power might be hard to win. But it was worth the winning. It had more or less permanent value. Let a man receive the award and he secured a possession. The post-war era is revolution. It is not merely revolution as a violence that happens. 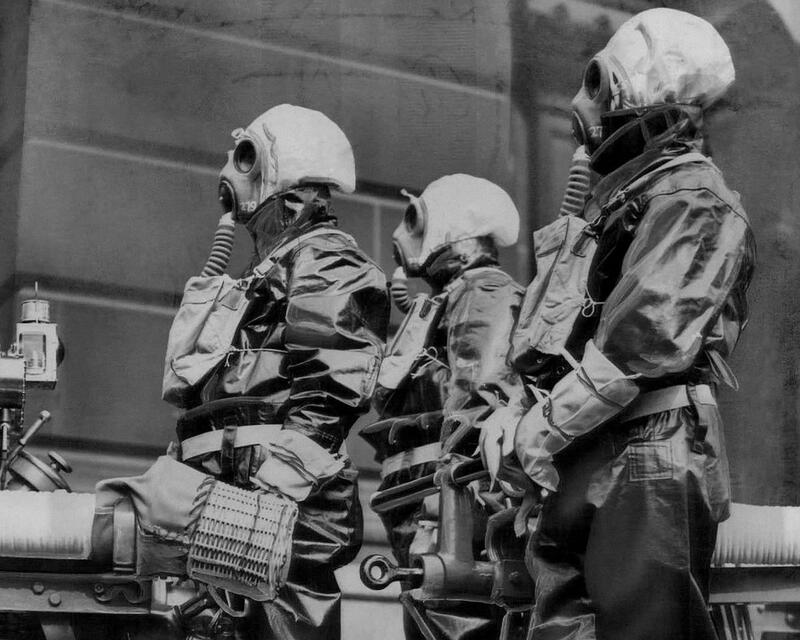 It is revolution as the air that people breathe. The helmsmen of the ship of state change with the political weather. It is not enough to say that many men of obscure origin have risen to positions of conspicuous authority. That has happened before. The fact to be faced is that no statesman, wielding authority, knows for certain what may happen to him as the barometer rises or falls. A Curzon, being a Marquis, may see a trade-unionist called Henderson presiding over the most exclusive of all foreign offices, and Henderson, in his turn, may be ousted in favor of a corporation lawyer, Sir John Simon. Goebbels the plebeian and Goering the patrician sit side by side and are interchangeable. So with Ramsay MacDonald, the Socialist, and Stanley Baldwin, the Conservative. A change from personal security to personal insecurity affects the outlook of statesmen. The rulers of yesterday had a motive for thinking of the yesterdays. The past was a title deed to their privileges. The rulers of today have no reason to think of anything except today. It is no part of their task to prolong the past. The war obliterated much of the past. What engrosses the post-war generation is the urgency of the present and the shadows of the future. Experience has fallen to a discount. All precedents are canceled. What is meant by ability signifies ingenious improvisation—calling a new conference, devising some dilatory formula, turning awkward corners, inventing compromises. The art of the new rulers is opportunism. Sometimes it seems as if rulers, whether new or old, are little more than the marionettes in a puppet show where the fates manipulate the unseen threads of destiny. There is a difference between yesterday and today. It is a difference that makes all the difference. A fact has developed which was less developed in days gone by. That fact is public opinion. The rulers of yesterday, even in the democracies, considered that they were answerable only to the privileged few. Behind closed doors they talked to one another. Diplomacy was an occult proceeding into which the British Parliament itself must not inquire too closely, and the idea that responsible statesmen would explain their policy to mammoth meetings and make apologies to the whole world by means of radio would have been unthinkable. Dictatorship itself, with its censorship, is a measure of the fear inspired by public opinion, and this fear is acting as a deterrent on militarism. The collective statesmanship of Europe, whatever its follies and failures, is far less reckless than the light-hearted insanity that plunged Europe into war in August 1914. Half a dozen times during the last few years events—not forgetting assassinations—have occurred which, a quarter of a century ago, would have led to war. The new rulers, with all their excesses and limitations, have at least learned a certain lesson. It is that war is fatal to those who allow it to happen. 1977. Revelations About the CIA's "Project MKUltra"
FRANK REYNOLDS: There were new revelations today about cloak-and-dagger spy operations by our side. The CIA Director, Admiral Stansfield Turner, met with the Senate Intelligence Committee in a closed session to provide more information about "MKUltra." MKUltra is a CIA program started nearly twenty-five years ago to control human behavior through the use of drugs, electric shock, psycho-surgery, and other rather sophisticated techniques. The CIA now says it has discovered documents relating to the program that apparently were not filed in the right place. Acting under the Freedom of Information Act, a former State Department official, John Marks, has obtained a number of other documents on MKUltra. He made them public today. Bill Downs has that story. BILL DOWNS: John Marks says the latest CIA documents show that in the 1950s the CIA secretly contracted with an unidentified professor of neurology to go to an unnamed state prison for an experiment on an unrevealed number of convicts. The agency had learned that the Russians were testing a drug called bulbocapnine. MKUltra wanted to know if the drug actually could induce loss of willpower and memory. Another documented case involves two suspected Russian CIA agents which the agency feared might have been compromised. Both agents were drugged, then hypnotized. The relived past incidents in their lives, the documents report. Interrogations were very successful. Among the MKUltra documents produced today was a 1949 letter outlining ways of killing a person without leaving evidence of murder—try smothering with a pillow or strangling with a thick towel However, the letter's classic revelation: put an individual into a relatively tightly sealed small room with a block of CO2 dry ice. It is highly probable that death would result without detection. JOHN MARKS: Admiral Turner says the experimentation now has stopped. Even if that is so, there still remains the huge body of research, technology, equipment, and other means that the CIA developed over the years. This research product is a potential threat to our most basic freedoms if it gives the government or anyone else the ability to manipulate human behavior. These techniques do not just smack of 1940—of Nineteen Eighty-Four—they open up the prospect of totalitarian control. DOWNS: Bill Downs, ABC News Washington. REYNOLDS: The Senate Intelligence Committee will hold a public hearing on MKUltra late next week. The principal witness will be the CIA Director, Admiral Turner. BARBARA WALTERS: The chief of the CIA told the Senate today that eighty institutions such as colleges, prisons, and hospitals were used in top secret mind control research in the Cold War years. He gave details of some frightening experiments, as Bill Downs reports. BILL DOWNS: More than five thousand well-laundered and sometimes lurid documents were released today by the CIA as agency Director Stansfield Turner outlined parts of the CIA's 144 human behavior control projects before a joint Senate committee. They included experiments secretly involving hospitals testing drugs on terminal cancer patients and enlisting prisons to experiment on criminal sexual psychopaths. Massachusetts Senator Edward Kennedy said that prostitutes were employed to entice unwitting victims to so-called CIA safe houses in New York and San Francisco to test LSD and knockout drops. Disavowing the past, Admiral Turner had strong ideas about the CIA's future. STANSFIELD TURNER: It is totally abhorrent to me to think of using a human being as a guinea pig and in any way jeopardizing his life and his health, but I can assure you that this is totally beyond the pale of my contemplation of activities that the CIA or any other of our intelligence agencies should undertake. DOWNS: Turner's testimony today revealed that the CIA secretly funneled money through scores of research foundations, colleges, hospitals, and clinics, including a $375,000 grant through the Geschickter Research Fund here in Washington. For that story, here is Margaret Osmer at Washington's Georgetown University. MARGARET OSMER: Georgetown University is one of the institutions that received money from the CIA. Money that came from a reputable foundation here in Washington and was used to help construct these new university buildings. University officials don't deny they got the money, but they do deny knowing anything about the CIA connection. DR. MATTHEW MCNULTY: We have no—looking at our plans, which we've done just as recently as again this morning—there's no space that matches whatever is that the comment made at the hearings. And so we don't know what they're talking about. Now, whether there was an arrangement made with the CIA—with some other agency—to do something that was never done—which I think was Admiral Turner's response this morning that he didn't know what that was about—but it never did come to pass, we don't know. OSMER: Dr. McNulty says he finds it despicable for a democracy not to ask an institution if they want to be involved in such an activity. Perhaps, he added, the plus of a democracy is eventually we learn about everything. Margaret Osmer, ABC News, Georgetown University. WALTERS: ABC's John Scali reports that CIA Director Turner has lost his bid to take over the Pentagon's intelligence apparatus as well as the CIA. President Carter will make the announcement tomorrow. Film Review for "She Defends Her Country"
Released in Moscow this week is a film dedicated to the Soviet women entitled 'She Defends Her Country.' It was produced by the Central Amalgamated Studio of Alma-Ata, Kazakhstan, and stars the popular stage actress, Vera Maretskaya. It was directed by Fridrikh Ermler. It is the story of how the residents of a captured village west of Moscow became partisans during the German drive of last year. Technically, it is the best Russian film produced during the war. It is excellent propaganda for the Russians and is currently packing them in. The entire audience has a good cry and emerges in a fever of hate for the Nazis. Maretskaya portrays Praskovya Lukyanova, cornily built up as the happiest woman in the village, the best tractor driver, and an ecstatic mother of a five-year-old son. However, the film settles down when the village is evacuated under German attack. In a single day Lukyanova loses her husband while her son is cold-bloodedly shot and she ravished. She wanders through the forest where she finds distraught villagers and finds her hair turned white. She becomes 'Comrade P,' woman leader of guerrillas. The love interest is provided by a young couple from the district who also join the guerrillas. The film is dramatically well put together and holds interest with the same type of action as the western thrillers. The tone is tragic and American audiences might find the scenes of the shooting of children, crushing of soldiers under tank treads too strong for their stomachs. However, totally, it is an intelligent job of interpreting the spirit of hatred which is the basis of the entire guerrilla movement—which causes peaceful farmers to join the movement and which offers no quarter; whose only fate, if captured, is death. Atrocity is brutally treated in this film, and if shown in America could give reaching confirmation of what every foreign correspondent has seen. The film's sincerity overcomes its shortcomings. 1977. "CBS: The First Five Decades"